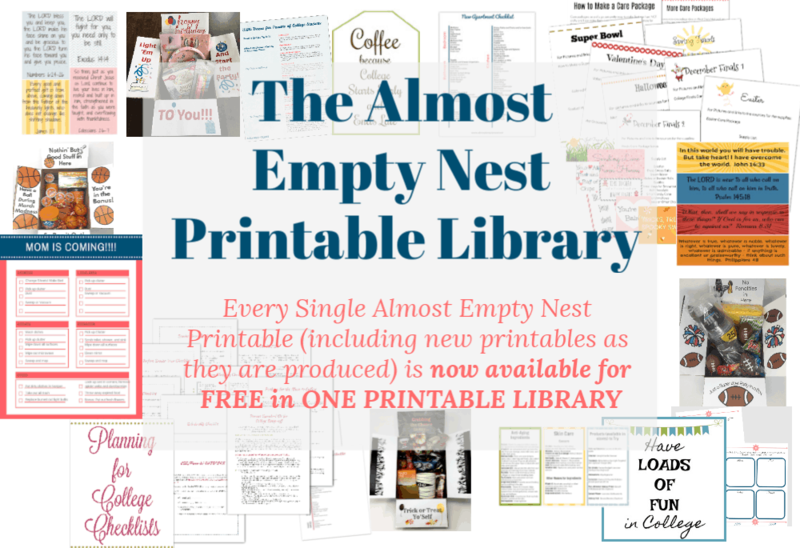 Join the Almost Empty Nest Community and receive FREE ACCESS to the Almost Empty Nest Printables Library. 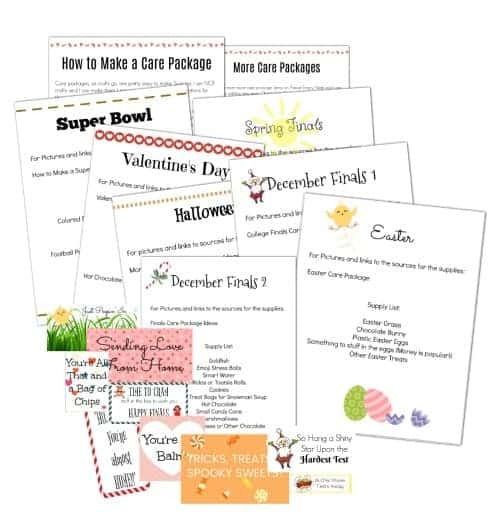 The Printables Library includes every printable on Almost Empty Nest - A Year of Care Package Printables, Gift Tags, College Preparation Checklists, Additional Care Package Printables (Birthday, March Madness, the Super Bowl), Bible Verse printables and more. If you prefer not to be a member, you may purchase the printables through the same button link above. 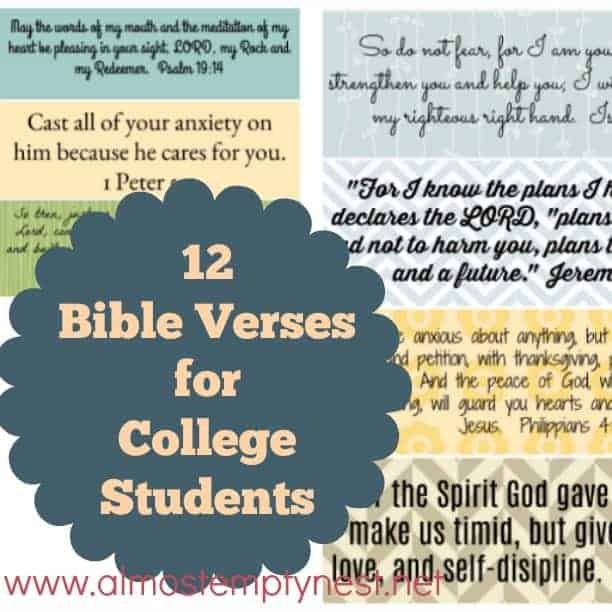 DIY Graduation Gifts are a fun and unique way to bless a new graduate. 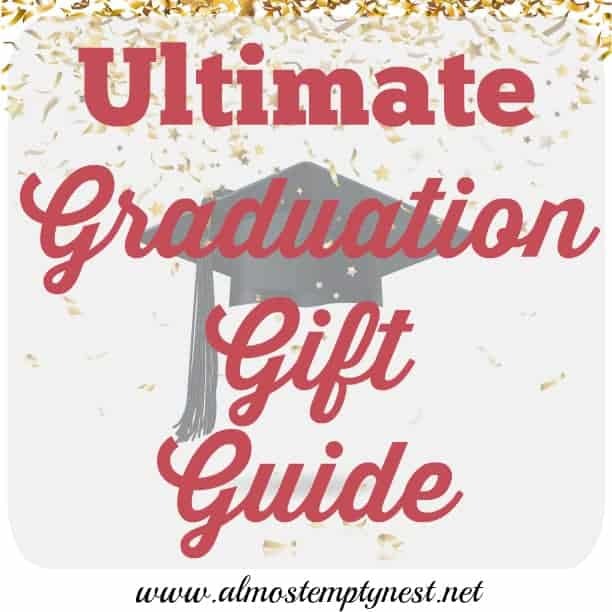 Graduation gift baskets contain many small practical items bundled into one gift basket. 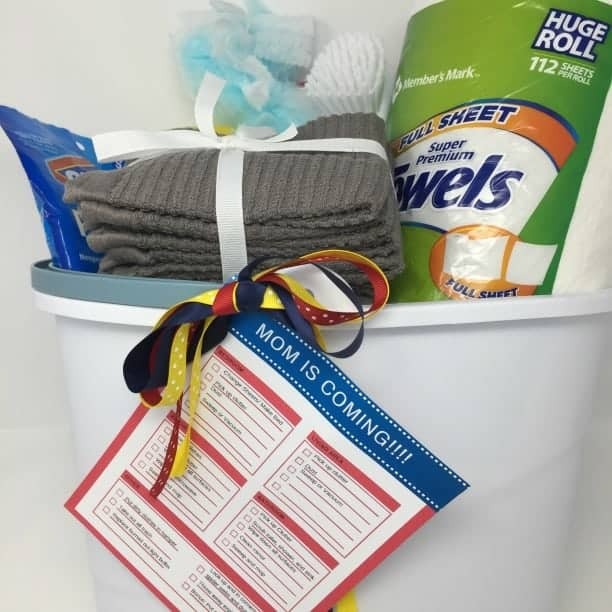 Almost Empty Nest has several posts dedicated to DIY gift baskets that are listed below. Most contain FREE PRINTABLES that you can download and add to your gift. Every new graduate will be facing laundry – a skill they may or may have already acquired. In any case, they will need some laundry supplies – detergent, fabric softener, bleach crystals, Downey spray. 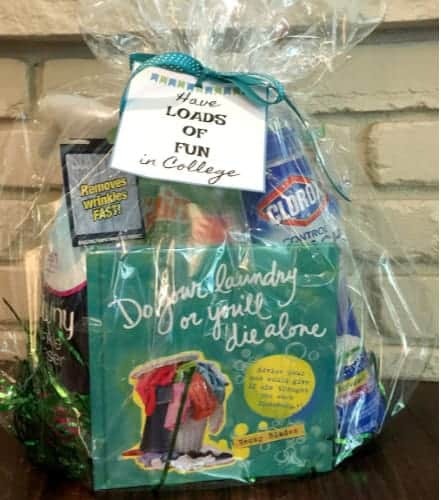 I also love the book “Do Your Laundry or You Will Die Alone” – a hilarious book of pithy advice from a mom who has been there. 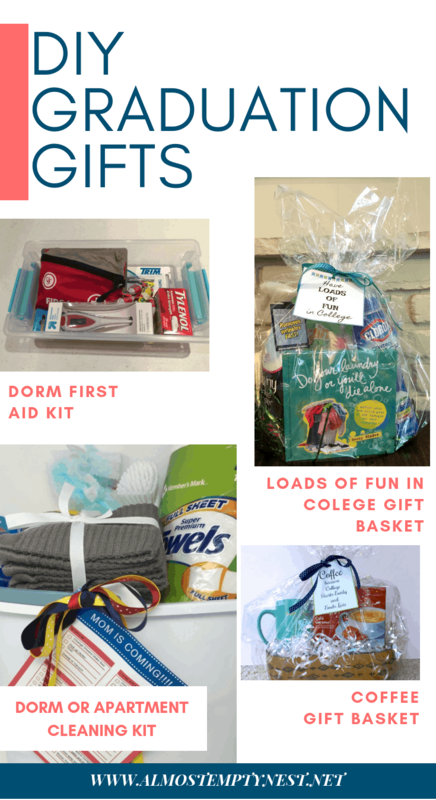 For more information and to download the gift tag go to Loads of Fun Laundry Gift Basket. Another responsibility of leaving home is being responsible for cleaning your own space. Give them a cleaning bucket filled with supplies to help them keep everything in one place. A printable cleaning checklist is a fun addition. 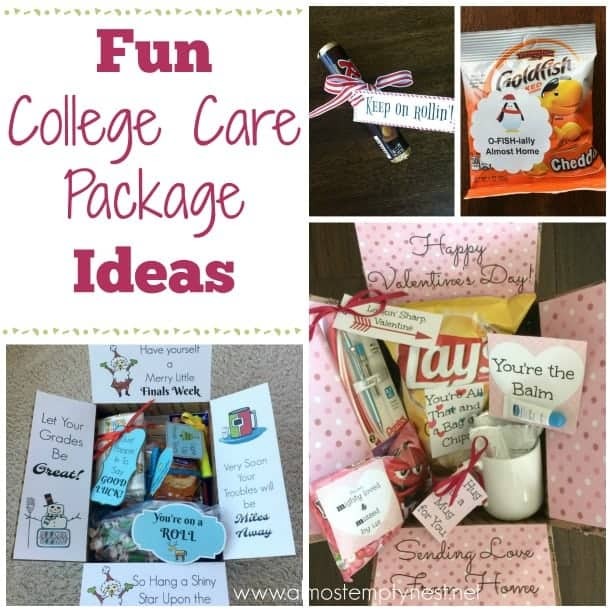 See New Apartment Care Package for more information and to download the printable. A first aid kit is a thoughtful thing to put together for the graduate. Many of the commercially made ones contain a whole lot of bandaids and not much else. By making one yourself you can put in the items they may really need if they are sick or hurt. 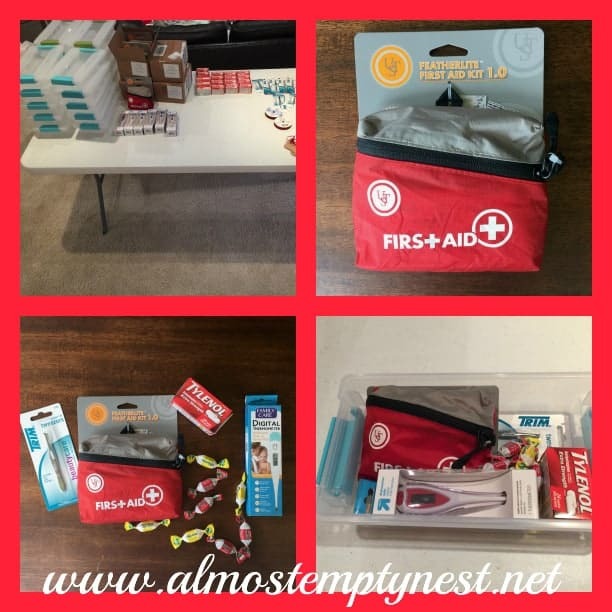 See How to Make the Best First Aid Kit for College for details. College kids drink a lot of coffee. It helps their pocket books if they brew at least some of it in their room instead of always buying Starbucks. Set them up with some supplies like coffee pods, a cute travel mug, creamer singles and If you are really generous, throw in the coffee maker as well! 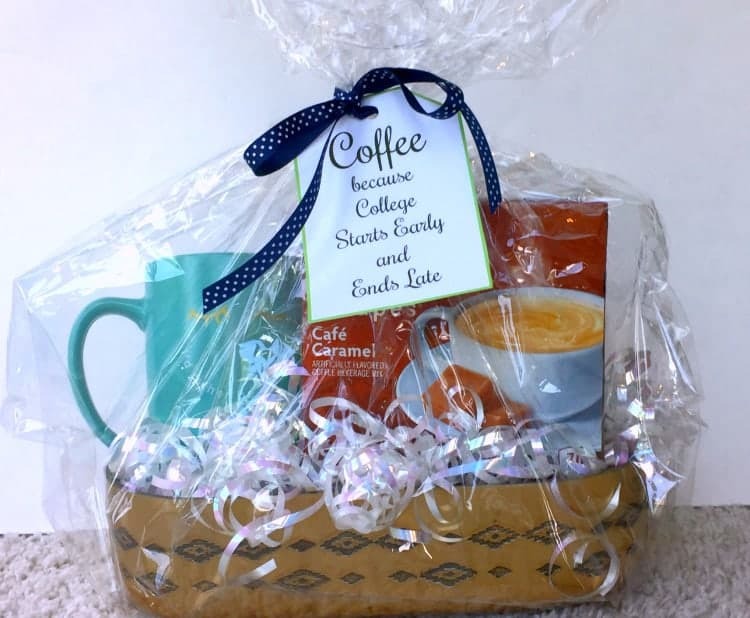 For the free printable tag and for more coffee gift basket ideas see Going Away to College Coffee Gift Basket.